SKEINS ALSO AVAILABLE IN ALL CHENILLE'S. 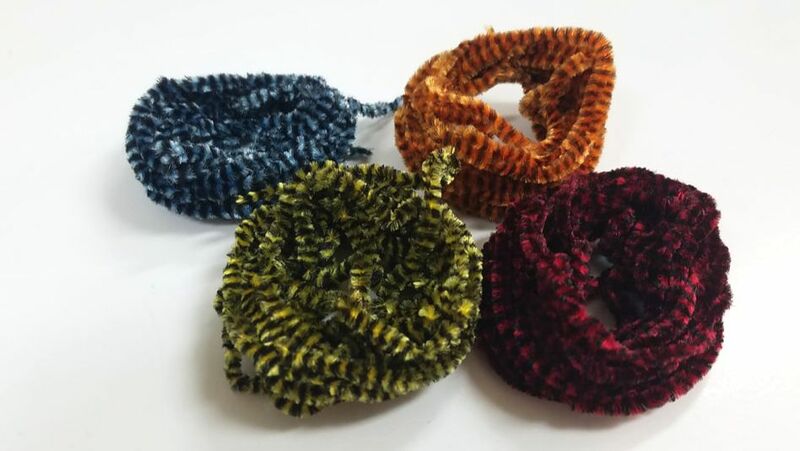 This is the most common chenille on the market. 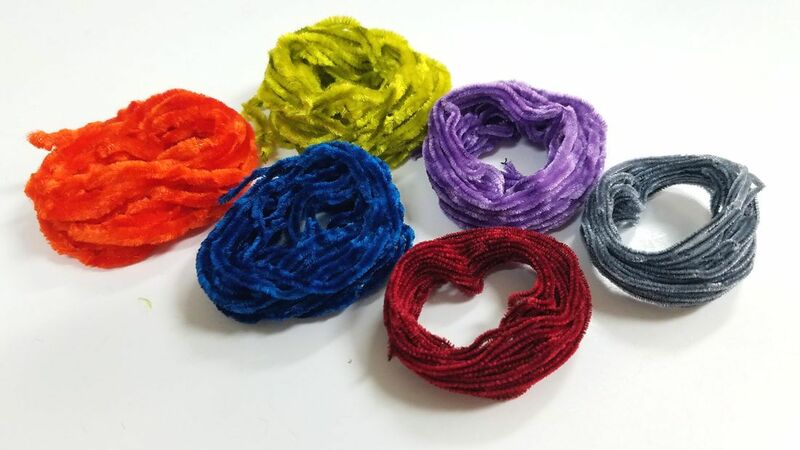 We carry Rayon chenille in 3 sizes to fit any use that you need. 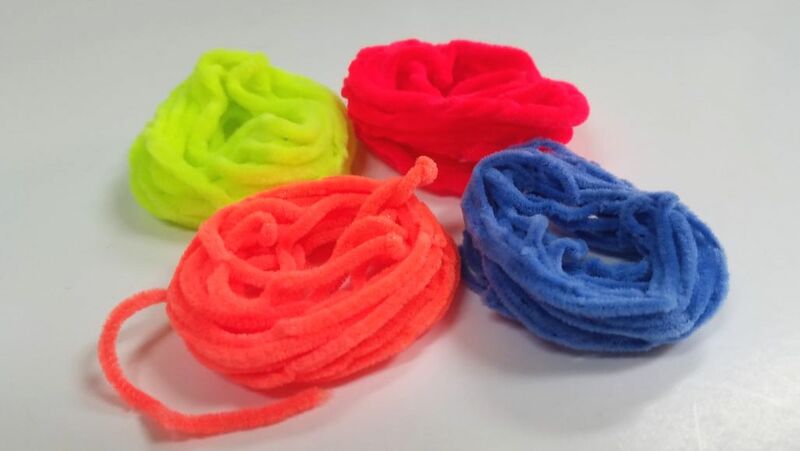 Standard Nylon based chenille. The more light it has the brighter it gets. 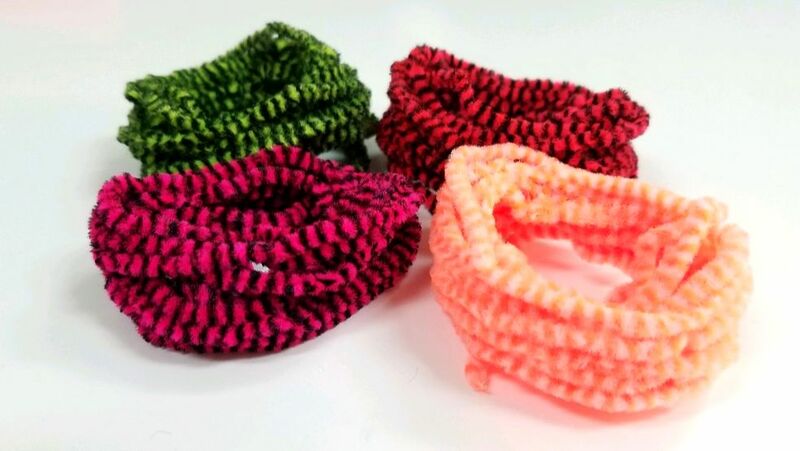 Variegated Chenille is mixed or barred chenille with 2 main colors. 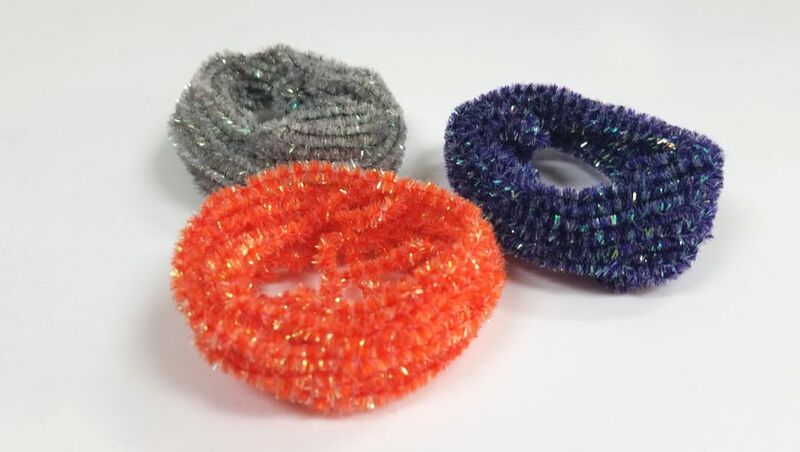 These are FL chenille's mixed with other colors. Perfect for steelhead and salmon flies. 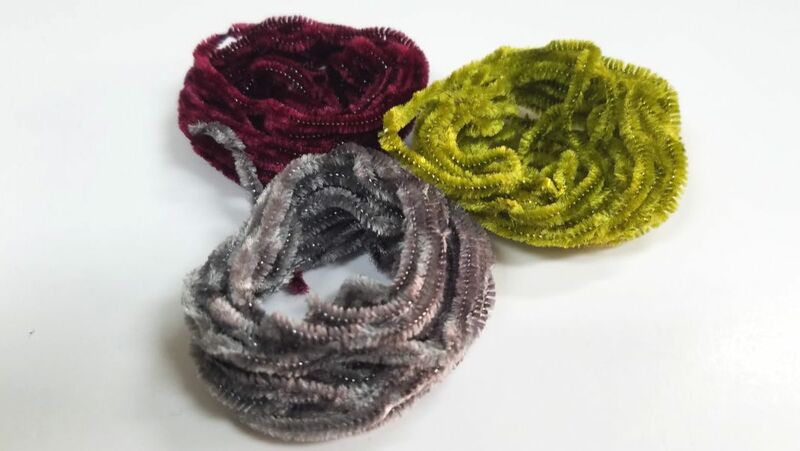 This is a selection of our popular chenille colors with a silver tinsel rib. Rayon chenille that is variegated with pearl flash. 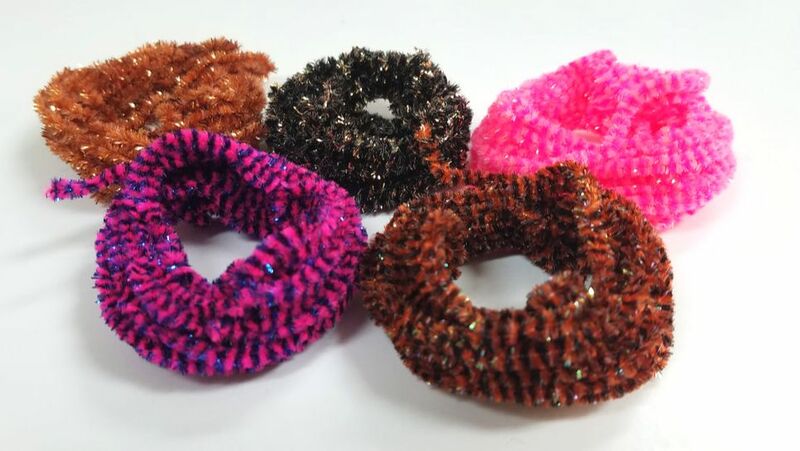 Super Chenille is a selection of crazy blends to give your fly different look then any other pattern. Many of which are 3 part blends, and all of have flashabou mixed in. Classic Mohair Leech Yarn, a long fiber yarn that is a all in one tying material.